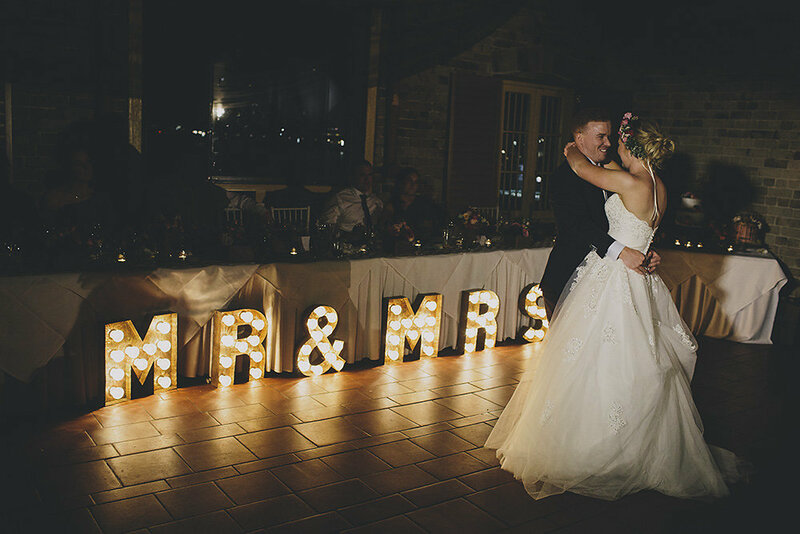 We love these gorgeous images from Cathrine + Scott’s Italian Village wedding in October last year. 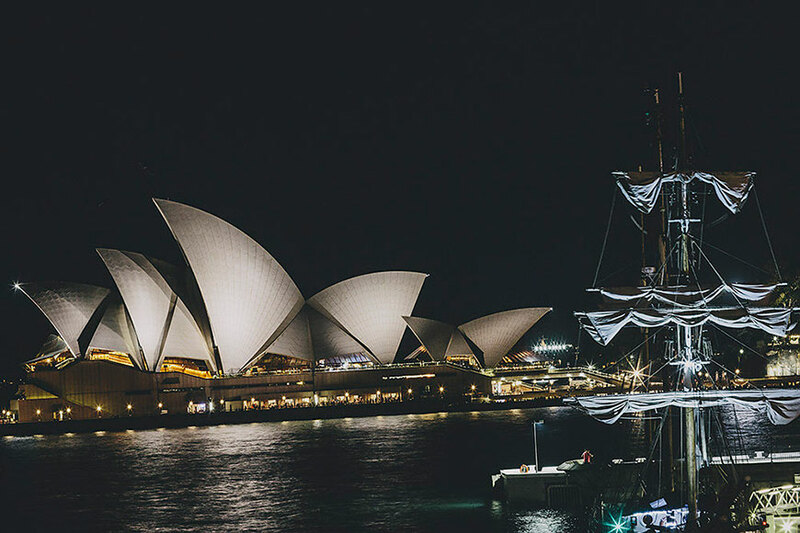 With a view like that, you can’t help but have a spectacular evening. 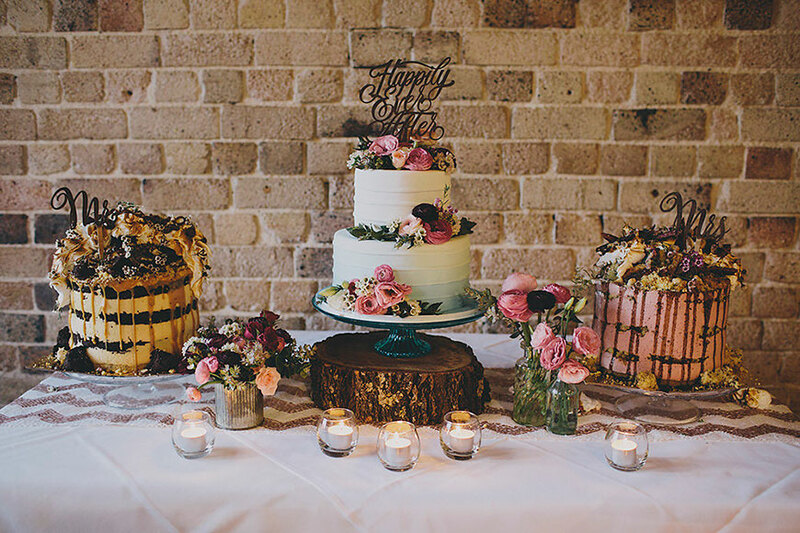 Combined with super pretty styling by Bud Paper Thread and delectable cakes by Sparkle Cupcakery and Andy Bowdy Pastry, this wedding reception looked simply lovely! 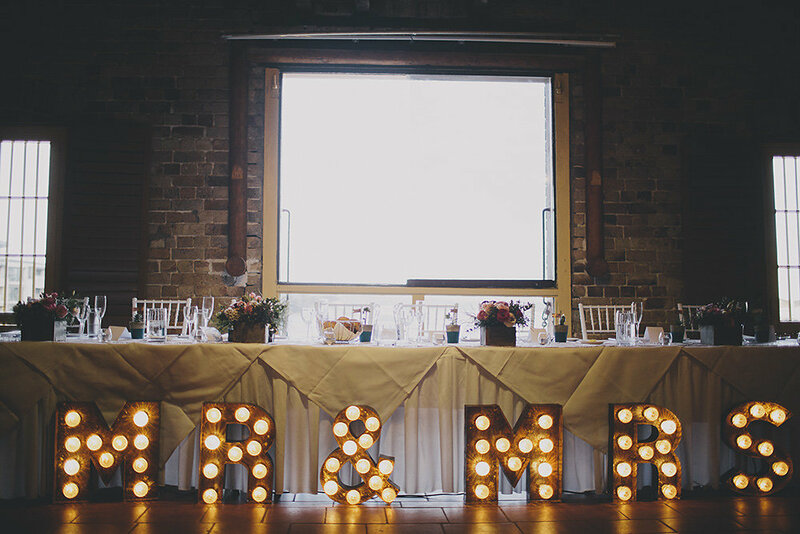 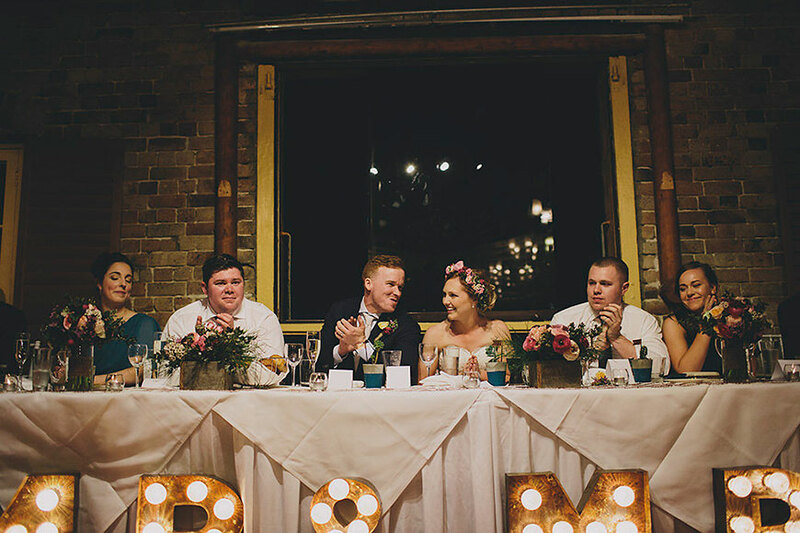 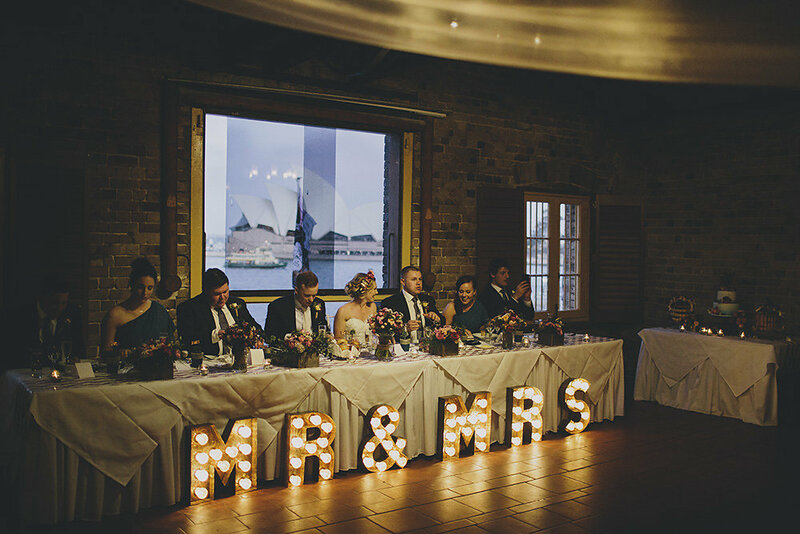 Great to see our Industrial MR & MRS Marquee Lights playing a part! 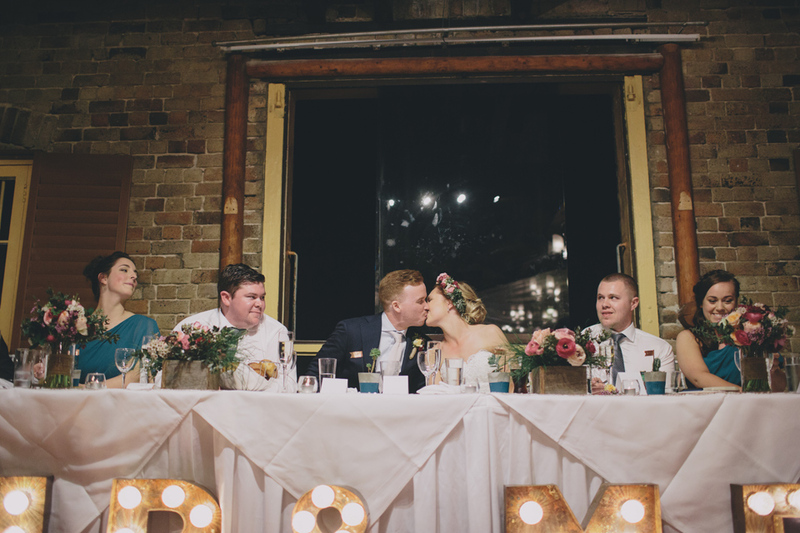 We hope you enjoy the fab images from Alyce & Colette Photography. 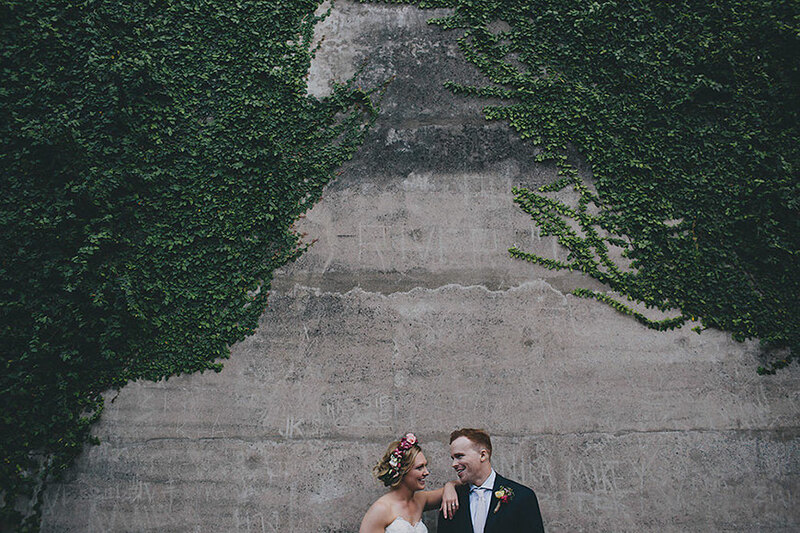 Wishing Cathrine + Scott much happiness for the future.